Imagine that you want to redesign or re-organize your home and you need to choose between two options. The first option is moving out and completely rehabbing the house all at once while interrupting your family’s life—even though your family is still growing and changing, you aren’t quite sure what will work best for you, and you don’t necessarily have a large budget to spend upfront. The other option is to work on the project one room at a time while you still live there, prioritizing the greatest needs as your family grows and changes, and paying for it as you go. Those same types of options exist when re-designing company websites. While many companies find themselves in the position of needing to completely re-design their websites every two or three years, the interruptions can be difficult and cause great frustration. The other option, Growth Driven Design (GDD), may be compared to refurbishing your home just one room at a time. With low risk and high return, re-designing your company’s website each month offers low-budget, low-commitment options with ongoing adjustments rather than creating a total re-haul. Sometimes referred to as Incremental Design, GDD is a less “traditional” method of web development that uses iterative strategies to create a peak-performance websites in shorter amounts of time and with less waste. Wondering if Growth Driven Design is right for you? If these factors are true about your company, then GDD is probably the right track for you to take. 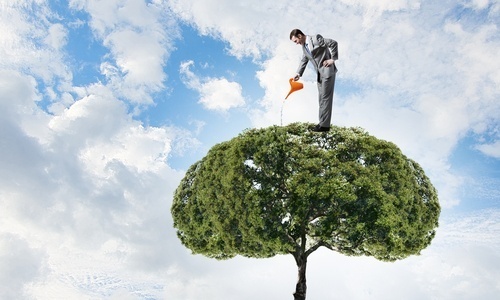 Your business is actively aiming to grow. Although most businesses would always state that they want to grow, many of them remain stagnant from lack of time, effort, information and resources. Businesses that are pro-active and intentional about growth are more likely to make GDD work for them. Is your business website visitor-focused? Do you work hard at inbound marketing strategies? Are you regularly looking for innovative opportunities to change and develop? You learn about visitors to your websites. If your website is simply an online yellow pages listing, then GDD may not be for you. Businesses that are constantly analyzing their visitor activity and are willing to make regular updates based on that information will find that GDD works hand-in-hand with their desire to constantly learn what their visitors and want and how to provide it for them. Growth Driven Design only works for companies who are aware of their current results and are interested in doing something about them. Closely integrating web design with marketing and sales requires tracking metrics, learning what they mean, and being willing to respond to them to make strategic improvements. Your website is not currently optimized. If you realize that your company website is outdated compared to your competitors and you want to do something about it, Growth Driven Design might be right for you. This is particularly true if your company seeks to move forward into online marketing but is not completely certain of exactly what direction that growth will take. You are willing to be guided by experts. If you believe that you know more about what your web visitors want than what the metrics show, you believe that your site is “good enough” as it is, and you have strong opinions about how your site should look or be used, then you may not be the best candidate for Growth Driven Design. However, if you seek to better understand what experts know about how to turn website visitors into conversions, learning from a continuous cycle of rollouts, then GDD will likely be a great fit. You continually aim to change and improve. A willingness to adopt processes and make improvements, even if they are uncomfortable, is a great sign that your company is a GDD candidate. Businesses who understand that the world is changing at a breakneck pace and want to keep up, and who recognize that the ability to regularly adjust websites to meet current needs is foundational for increased performance, are likely to push themselves to the cutting edge with Growth Driven Design. You commit to using resources wisely. A complete overhaul of your company’s website requires the allocation of significant resources, including time, finances, and stress. Massive projects tend to grow into monsters and come in over budget, causing interruptions to other parts of the business. GDD projects have the ability to stay within time and financial budgets as they are monitored piece by piece, as an ongoing investment rather than a one-time shot every two years. Growth Driven Design offers shortened launch times, lower risk, data-based decisions, and continual optimization to reach peak performance as your business responds quickly to market trends. The GDD approach to web design avoids the pitfalls of traditional web design approaches and brings this critical aspect of business forward. Thinking of Moving Forward with Growth Driven Design? If you think you might be a good candidate for GDD but still have questions, we’d love to help you out. Contact our team for examples of how this approach is working for real clients and ways that we could custom fit a plan for your business.